For thousands of years humans have been attracted to a relatively few energy ley lines (Solstice Lines) and built their cities on them and fought their many wars on them and watched helplessly as historic earthquakes and hurricanes killed millions of humans on a few energy lines that form 7 PENTAGRAMS OF BLOOD around the world on a map. 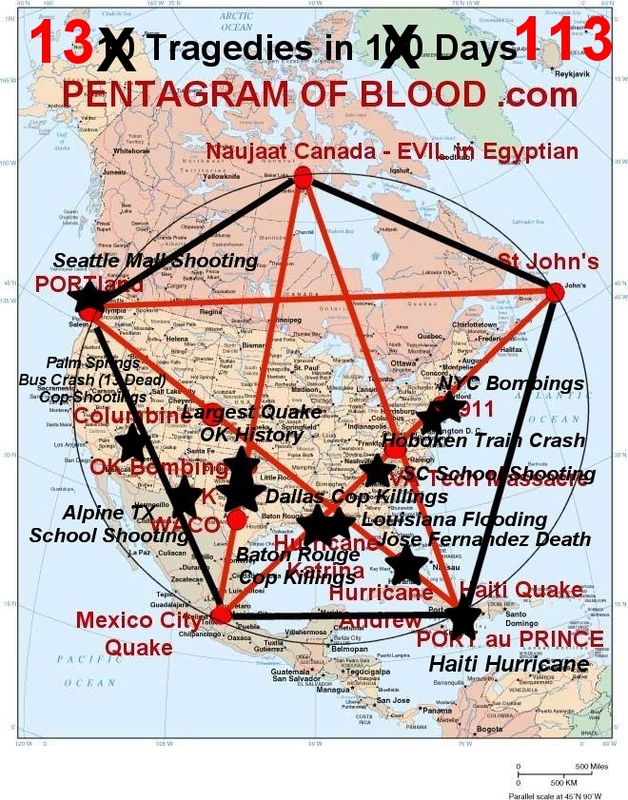 Recently, attention to these 7 Pentagrams of Blood was made by author and master psychic Sollog and his writings predicted the huge spike in global terrorism that is now soaking the lines as humanity nears a major event that Sollog says will kill over 99.9% of humans after 2022 when a large asteroid strike occurs on earth. The band Rex Luciferius has also been singing about these ley lines and how DEATH is striking over and over to form a sacrificial Pentagram of Blood. Their song Pentagram of Blood is gaining a large following around the world.